JACKSONVILLE, Fla. - Stories of cash, checks and private jets dominated Friday's testimony at the trial of former U.S. Rep. Corrine Brown. Federal prosecutors called several donors to the stand, all testifying that Corrine Brown personally asked them to donate to One Door for Education, an unlicensed charity in Virginia that was run by Carla Wiley, the girlfriend of Brown's chief of staff. FBI agents testified Wednesday and Thursday that One Door paid for lavish events, trips and even cash for Brown and her associates. Was Brown 'lying, cheating, stealing,' or betrayed by her chief of staff? Wiley is expected to testify for the prosecution on Monday. 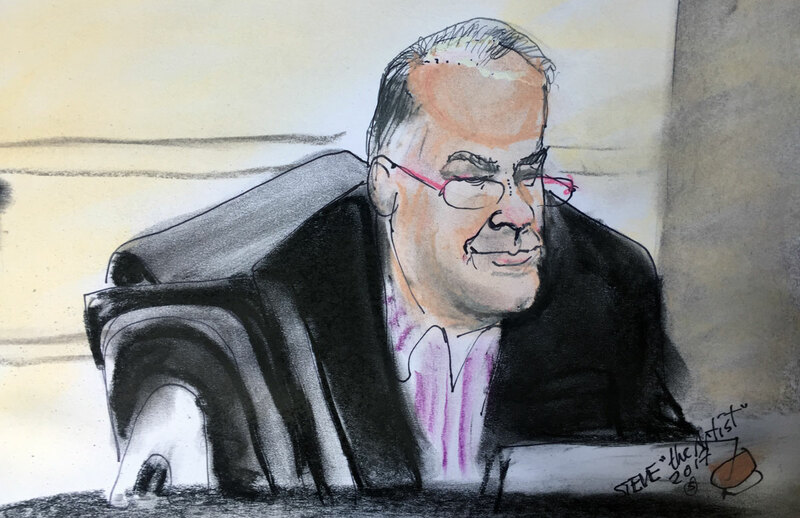 Prominent attorney Steve Pajcic, car dealership owner Jack Hanania and others testified Friday that if they would not have donated if they had known the money wasn't going to help children. Pajcic said that among his educational donations were $2 million to Edward Waters College, $1 million to the University of North Florida and $1 million to Anne E. Morgan Elementary School, he donated $15,000 to One Door for Education on Sept. 5, 2015. "(My) intention was that it be used to do what Corrine Brown asked for: to give money for scholarships and a trip to China for students," Pajcic said, adding, "This was not a major event for me. We give lots of money." When prosecutors asked if he would have donated if he knew that the money would go to skybox tickets to a Jaguars-Redskins game, personal expenses for One Door's president or Corrine Brown, Pajcic said no. Steve Bittel, chairman of the Florida Democratic National Committee, said he donated $5,000 to One Door, then gave more than $11,000 for a private jet to fly donors from Jacksonville to Washington for that Jaguars game. He said he didn't know Brown herself would be on the flight and very little of the money donated went to the charitable cause. "There were people who made donations that they thought was going to help the party and help kids, and it didn't happen," Bittel said. "We have a great judicial system in our country and hopefully they will find the truth." "Corrine knows how to raise money," said car dealer Jack Hanania, who had a $7,000 check cut to One Door. Attorney Steve Pajcic gave $15,000 to One Door, adding, "This was not a major event for me. We give lots of money." Florida Democratic Chairman Steve Bittel said he donated $5,000 to One Door, then gave more than $11,000 for a private jet to fly donors from Jacksonville to Washington for a Redskins-Jaguars game. "There were people who made donations that they thought was going to help the party and help kids, and it didn't happen," Bittel said. Hanania testified that Brown asked him to give between $12,000 and $14,000 to One Door, a charity "to help young kids" with education. "Corrine knows how to raise money," he said. He eventually had Orange Park Mitsubishi cut a check for $7,000. In exchange, Hanania, his wife and two sons were flown on a private plane to the Redskins-Jaguars game in Washington. Brown was on the flight, which surprised him. "I believe she's prohibited from flying on a private jet," Hanania said. News4Jax legal analyst, Gene Nichols, said other lawmakers have gotten into trouble for that. "A Congress person cannot take a private plane of a donor on a trip. They have to go on a commercial airline because, once again, it’s a gift. It’s receiving a benefit for something to potentially be used to curry favor. So it’s something that is not supposed to be done, so it’s easily another issue the government is using to show entitlement, to say she thought she should get these things." Tasha Cole, vice president the Congressional Black Caucus Foundation, testified she was aware of receptions that One Door funded CBCF receptions for Brown over four years that totaled about $155,000 in expenses, but she was not aware of any money given directly from One Door to the foundation. Brad Mims, COE of the Conference of Minority Transportation Officials, which raises money for scholarships and internships for minorities interested in careers in the industry. Mims testified that he was invited by Brown to an One Door fundraising golf tournament in July 2013 at TPC Sawgrass but he did not attend and has no records that his organization received any money for scholarships. Asked what he could have done with a $25,000 donation, Mims said, "(We) could have funded five or six scholarships. (It) would have been as simple as someone writing a check." Longtime CSX chairman and CEO Michael Ward testified Thursday afternoon that he gave more than $30,000 to One Door for Education, thinking the money was going to buy iPads for students. Political consultant Susie Wiles, who worked for two Republican Jacksonville mayors and was Florida campaign manager for President Donald Trump and ran Gov. Rick Scott's first campaign, said that she would never have helped raise funds for Brown if she knew it was going to line her pockets. News4Jax's other legal analyst, Rhonda Peoples-Waters, said that Friday's testimony was the worst yet for Brown. "We certainly know that the congresswoman, I’m sure, made some unwise decisions, but I do think the defense's perspective is going to make sure that’s it’s clear her purpose, her intent, was to benefit others," she said. News4Jax reporters, producers, photographers will cover every moment of the United State of America vs. Corrine Brown trial to provide the latest coverage online and on air. Visit our Special Section to learn what's happened in and outside the courtroom, context from our team of legal experts and background on the case and the congresswoman. Brown, 70, is on trial on 22 fraud, conspiracy and tax charges, most connected to the unregistered Virginia charity. The government contends that only $10,000 of the $833,000 raised by One Door were spent on education or charitable activities. 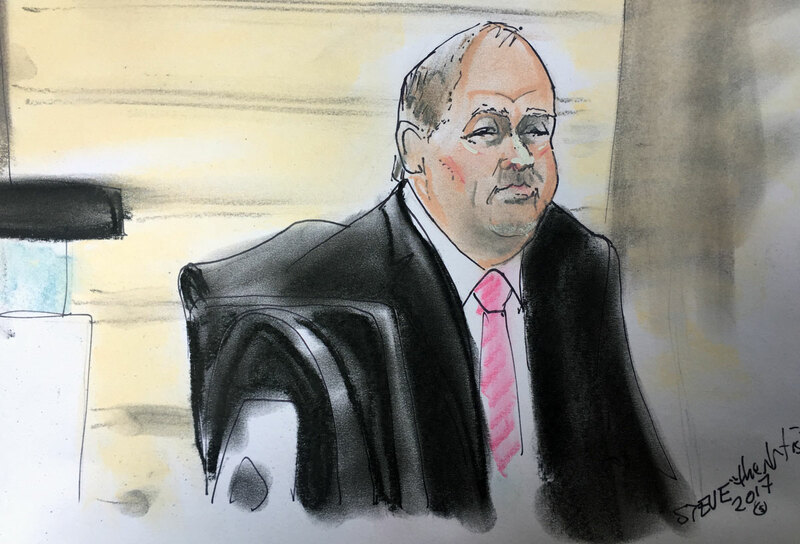 Assistant U.S. Attorney Tysen Duva said that evidence will show that more than $140,000 in cash was deposited into Brown's account that didn't come from her salary or retirement income. During its opening statement, Brown's defense said she was duped by her former chief of staff, Elias "Ronnie" Simmons, who she treated like a son and who she trusted to handle many of her personal and professional affairs. Simmons and Wiley have already pleaded guilty and are expected to testify against Brown.